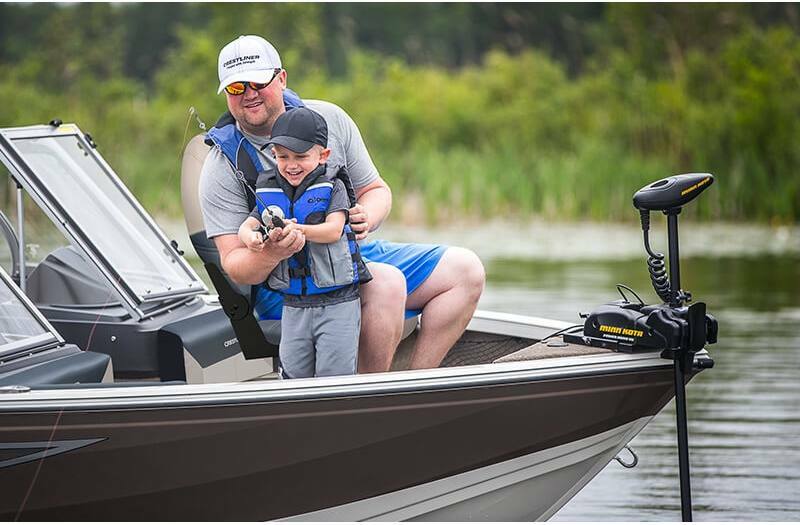 Whether you're reeling in a trophy walleye or towing the kids, you can experience it all with the 1650 Super Hawk. 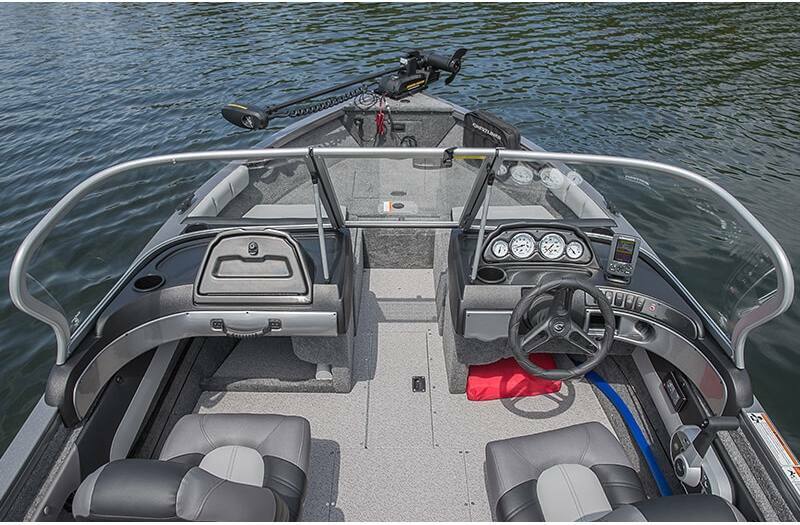 Anglers will enjoy the value of a large aft casting platform as well as the large amount of rod and livewell storage. 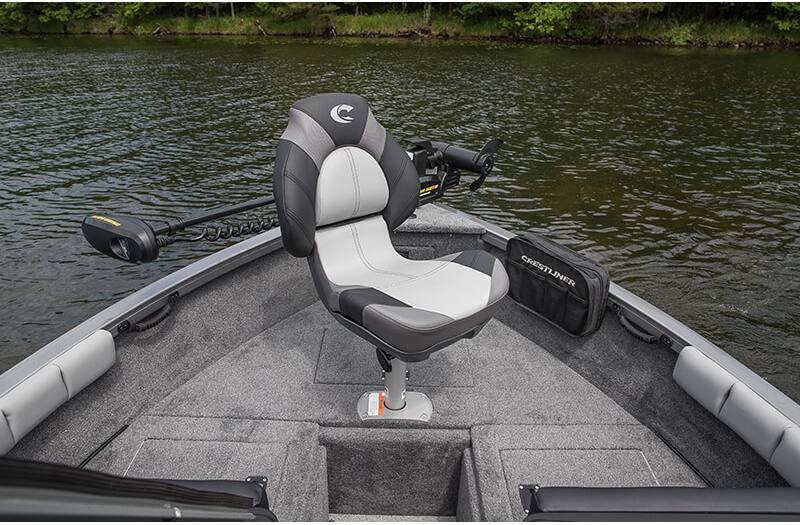 When the fish aren't biting, simply flip up the stern jump seats for more seating while cruising. 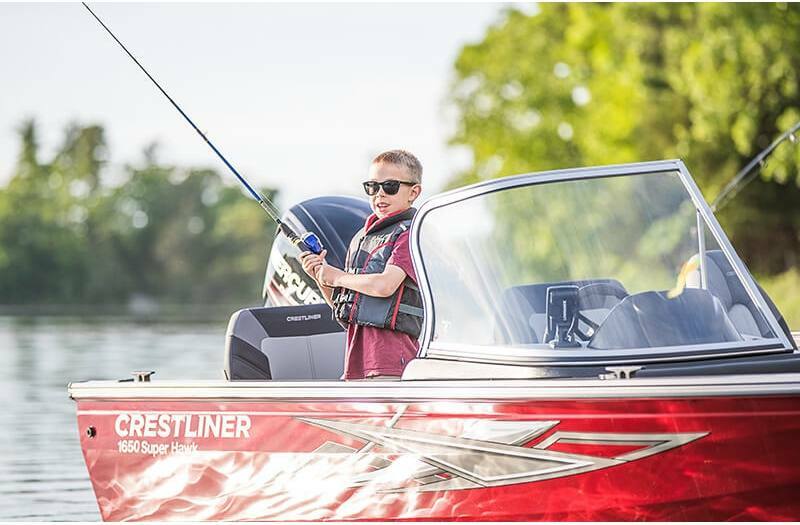 The 1650 Super Hawk is the ideal ride when it comes to fish and ski boats. 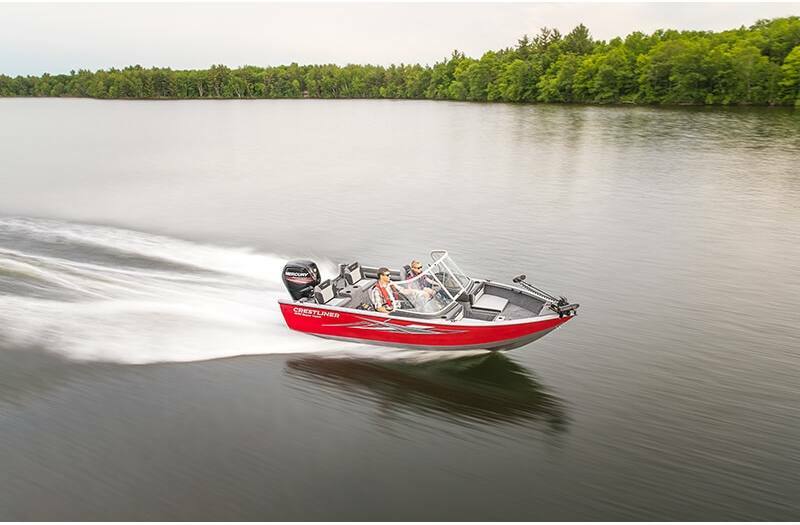 Best-In-Class Conversion Bow Open: Go from fish to ski and back in just seconds. 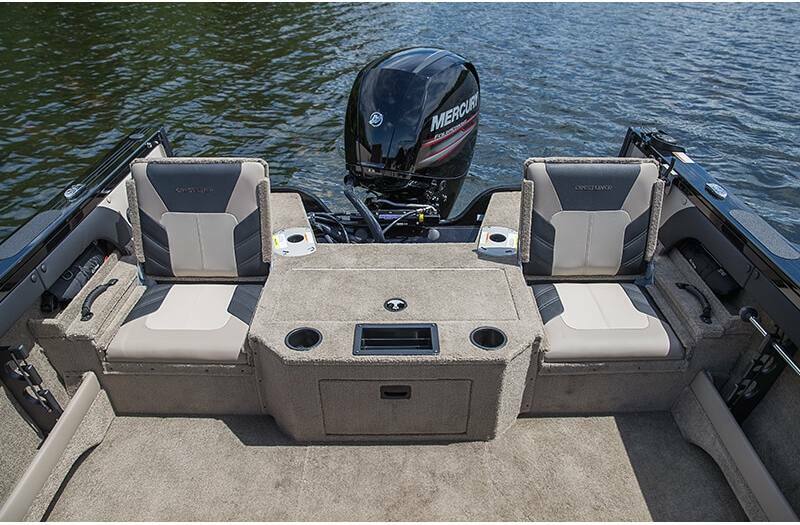 Stern Deck: Features a large casting platform, abundant storage, and a 9-gallon aerated livewell. 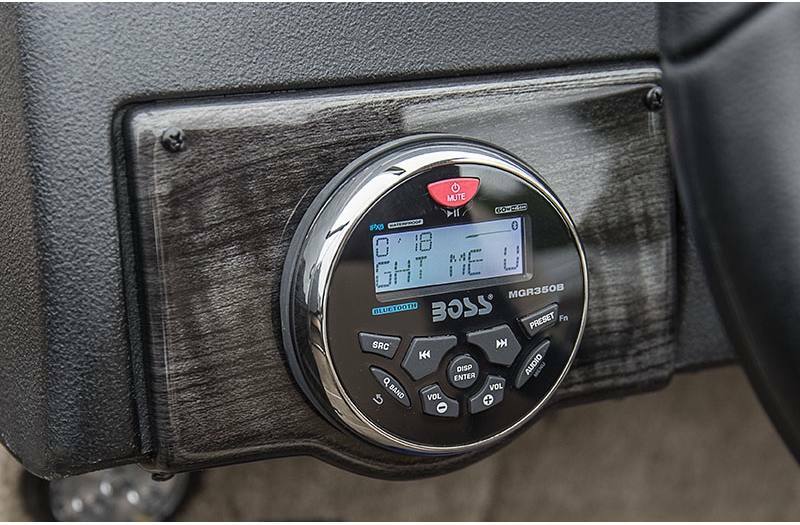 Port Console: The portside console features a spacious glovebox, drink holder and recessed throw tray for safekeeping. 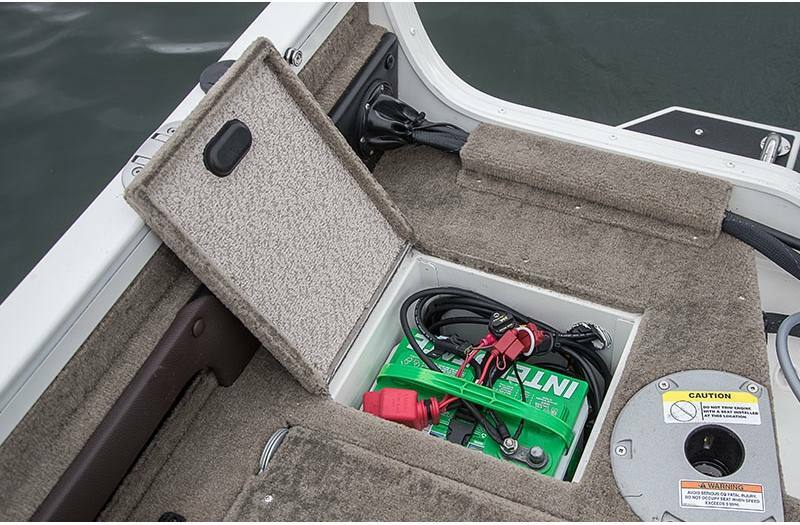 In-Floor Battery Storage: In-floor trolling motor battery storage compartment (24V system compatible). 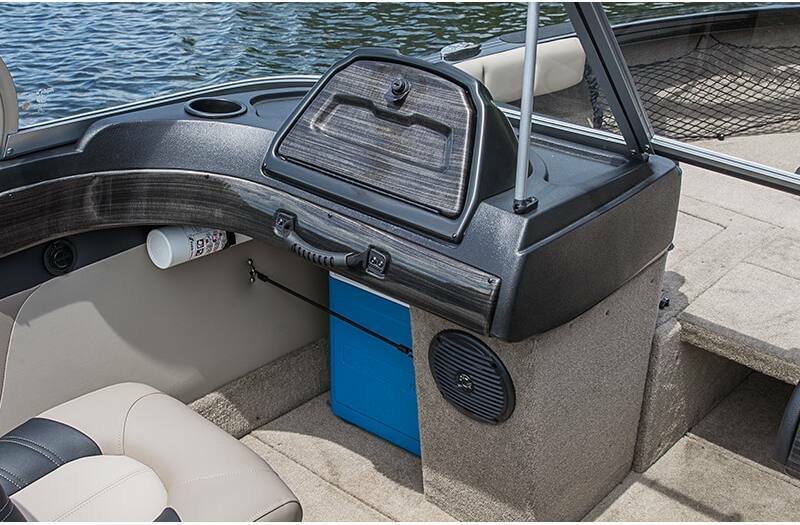 Quick Access Rod Storage: Starboard under-gunnel storage and quick access rod rack system. Aerated 9 Gallon Stern Livewell: A 9-gallon aerated stern livewell makes for easy fish storing right where you need it. Port Rod Storage: Open port rod storage accommodates up to five 7' rods. 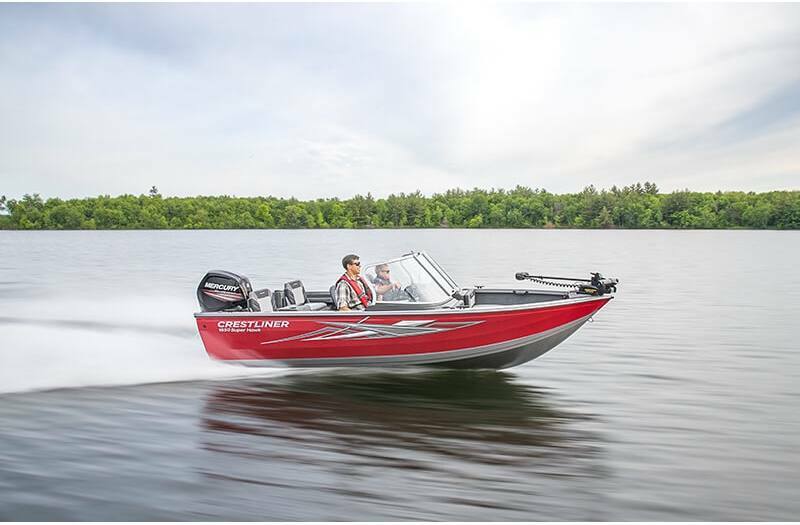 115hp Engine Output: With a maximum 115 horsepower, the 1650 Super Hawk boasts the highest engine output rating in our 16-foot aluminum Deep-V line-up. 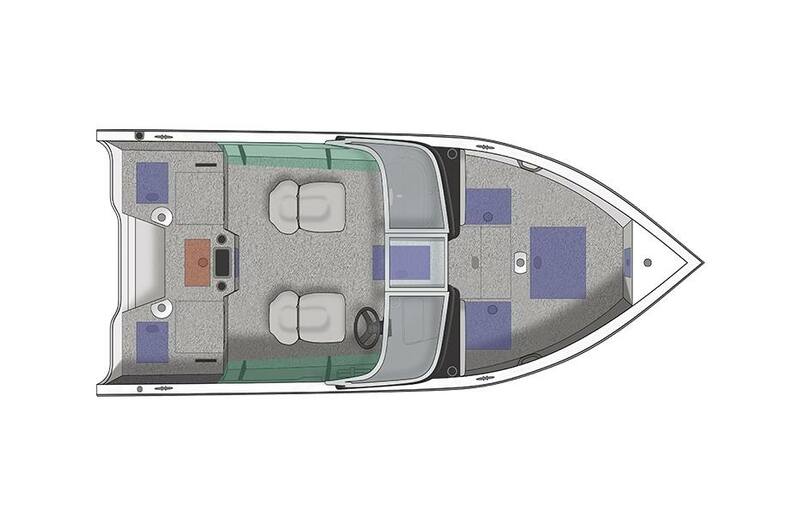 Conversion Stern Bench: The conversion stern bench option creates a large casting deck with additional seating options when flipped up. 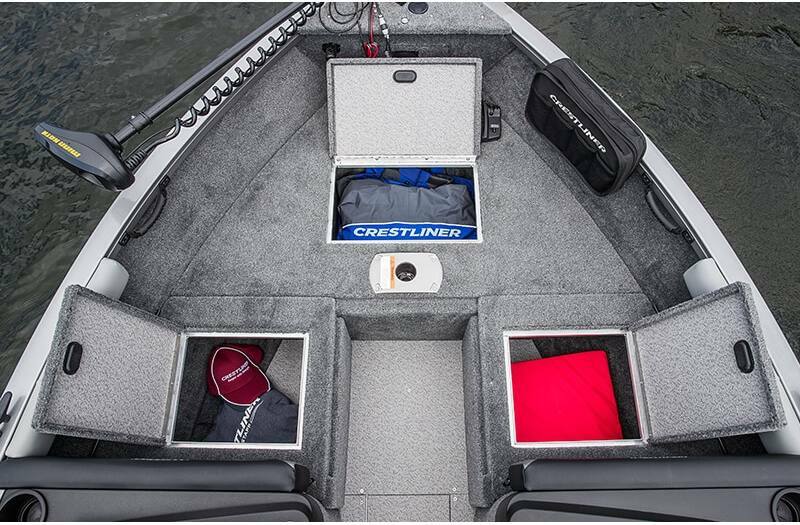 Also includes tons of storage and a centrally located 12-gallon livewell. 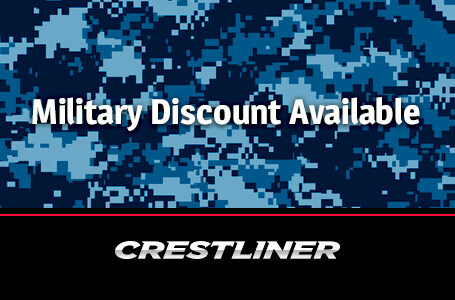 Snapless Bow Platform Pad: Bow platform with optional snapless pad and bolsters provide additional lounging space.